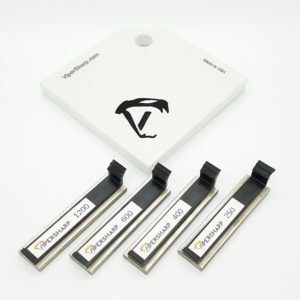 ViperSharp knife sharpener kits offer a great complete solution to all your knife sharpening needs. 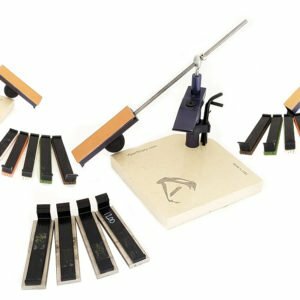 Get the kit that meets your needs today and start sharpening all those knives laying around your house with a dull edge. The ViperSharp system was created to allow you to get sharp fast without having to learn a new skill. A good knife sharpener will allow you to sharpen your EDC blades and kitchen blades to a better than new sharpness. That is what you get with ViperSharp. No more squashed tomatoes and no more jagged cuts. You know a sharp knife is a safe knife so why put it off? 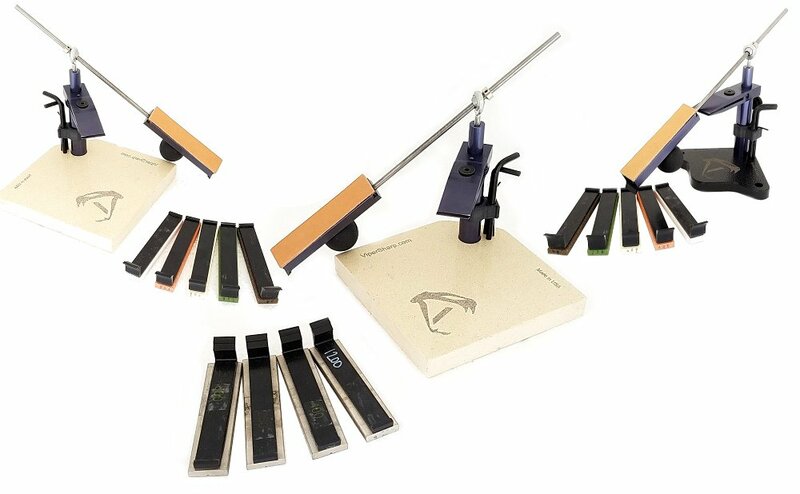 Get the knife sharpening kit that will allow you to finally enjoy sharpening your knives to razor sharpness. The full kit will come with the complete system including the base and stones to get the job done. All of that delivered to you in a nice solid case also made in the USA.